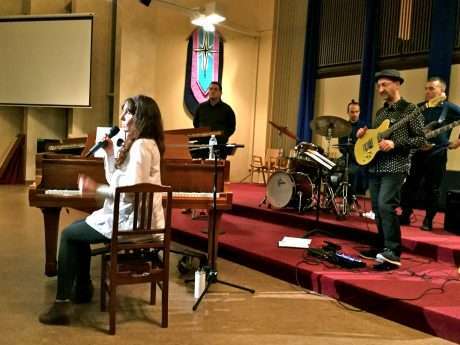 What a wonderful, amazing, rich and lovely evening with the Elizabeth Shepherd Band, Rick Windjack and Rev. Bruce Comrie sharing the program. The theme “There is Room for All at the Table” spoke to the many tables we share. Through story, music, reflection and prayer we were treated to a table of spiritual nurture. A reading from Richard Wagamese’s book Embers described a morning table with ritual and serenity beginning each day anew, Elizabeth’s stories behind the music she writes brought us together and a prayer written by Rabbi Reuben Zellman to mark Transgender Day of Remembrance added poignancy to the beautiful sounds of voice and instruments. The Elizabeth Shepherd Band included: Elizabeth (voice, piano), Michael Occhipinti (guitar), Mark Nelson (drums), Rene Jean Leblanc (bass guitar) and Jacques Kuba Seguin (trumpet). 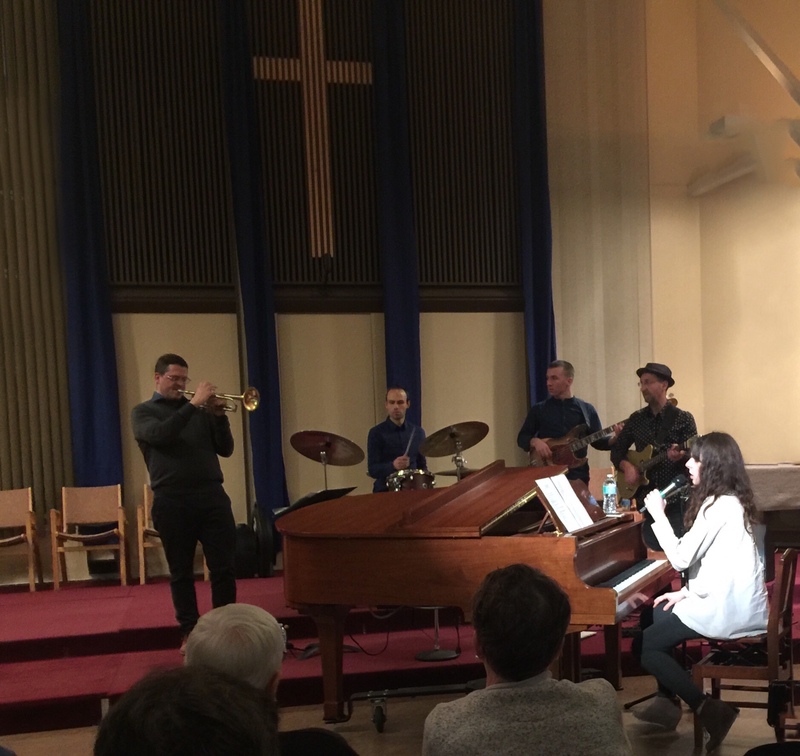 This wonderful evening of music featured pieces from the group’s recent new album “Montreal”. They are based in Montreal and are currently touring B.C. and Alberta. Rick Windjack, room for all at the PIT Stop tables. 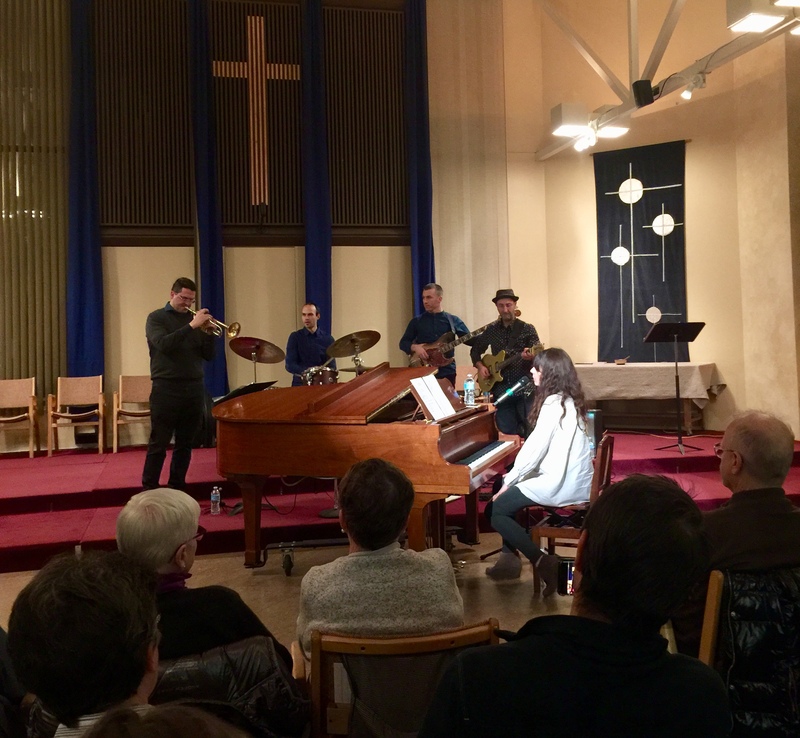 A large audience came out to enjoy jazz and evening prayer. Elizabeth shares the stories of the music she has written. A special evening coming to an end. Thank you to members of Discovery Circle for hosting the supper and to Derm Strong and Felicity Klassen for the images.